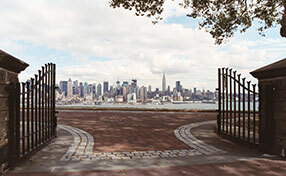 Well-reputed gate repair service company and solutions provider in the area. 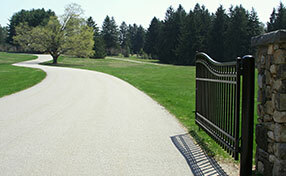 Our company is among the leading names in delivering gate repair services and other utility services in California. We have consistently stood up with the expectations of our clients. Our services are top-notch and we deliver excellent services every time. Our gate company offers residential services, responds at once when there are urgent problems and provides excellent maintenance service as well. Our professionals are trained and have the skills to fix gate motors thanks to their experience with all gate openers. Our service is thorough and so is our automatic gate troubleshooting. When there are problems, we inspect the whole system and fix the damaged parts on the spot. We can program clickers, replace the sliding gate chain, repair the swing gate hinges and posts, and will certainly take excellent care of the sensors. Making sure the reversing system works properly is one of our priorities as it will determine the user's safety. 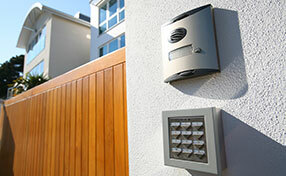 We repair and install all gates as well as their intercoms, and ensure excellence every time. Each gate owner and user will benefit greatly from the information and advice in our infographic. Go ahead and read it now. We are a company that provides safe, quality and reliable gate and garage door repair services in Westlake Village. Intercom installation is the best thing you can offer yourself if you own gates and aim at convenience, enhanced security and easy, fast access.